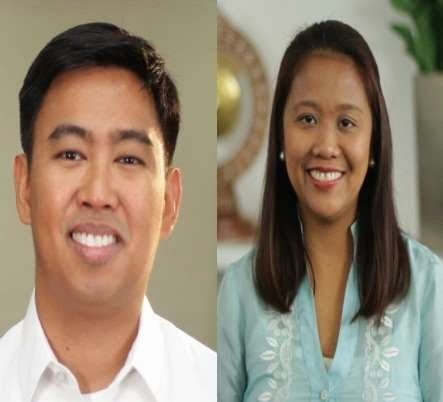 Manila, Philippines - Being a Binay is difficult and more of a disadvantage, according to siblings Mayor Junjun Binay and Senator Nancy Binay, as they are more susceptible to harsh public criticism. This is pertaining to the controversial Dasmariñas Village incident where Mayor Junjun allegedly threatened the village guards and asked them “Don’t you know me?” when his four-vehicle convoy was prohibited from exiting through one of its gates. Mayor Junjun was wildly bashed online after the CCTV video of the incident became viral. Mayor Junjun denied the said report and claimed that it was maliciously made up. He also clarified that he did not abuse his authority. “Obviously, the incident was wrongly reported and sensationalized. They know that people buy those kinds of stories,” Mayor Junjun explains in “Tapatan Ni Tunying,” which airs this Thursday (Feb 20). Sen. Nancy, whose car was at the end of her brother’s convoy during the incident, also shrugged off the issue. “I told Mayor Junjun, ‘It’s your fault because you stepped out of the car! They saw you and realized we didn’t look like people who live in the village,’” she quips. The senator also believes that the story only escalated because some people want to tarnish the image of their father, Vice President Jejomar Binay, who plans to run for president in the 2016 national elections. “It’s all about 2016. They can’t bring our father down. So, it is my reputation and the reputation of other people around him that are being destroyed,” she says.